Hotel Monarque Torreblanca is set within its fresh green gardens and just overlooks the Mediterranean ocean. 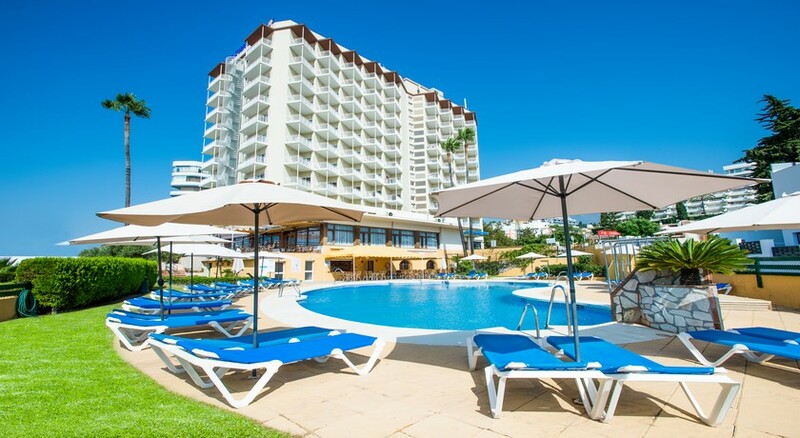 Guests of Hotel Monarque Torreblanca will enjoy the outdoor pools on the complex and are also granted access to the spa at neighbouring Fuengirola, Park Hotel. The resort is close to a large handful of the golf courses that Costa del Sol is known for, and there are walking tours and hiking routes available for guests that are feeling active. 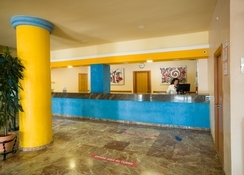 Reasonably close to Malaga, Hotel Monarque Torreblanca guests can take a day trip to the city and the front desk can help with any tickets you may want to book in advance. Hotel Monarque Torreblanca is a 4-star hotel. Hotel Monarque Torreblanca is set just 0.2 miles from both Torreblanca beach, and Torreblanca train station, respectively, so guests can choose between an idle beach day or exploring neighbouring towns and cities. Fuengirola’s promenade is just a short stroll, as is popular beach Las Gaviotas, which has now been awarded the European Union’s prestigious Blue Flag. Gifted with excellent connections via public transport, Hotel Monarque Torreblanca makes a brilliant headquarters from which to explore Fuengirola. Benalmadena Puerto Marina is a bustling hubbub of nautical comings and goings and is fantastic for people watching and features chic shops and trendy cafes. Hotel Monarque Torreblanca maintains 200 rooms, and all have a strong country character to them with comfort and space prioritised. All rooms have a balcony or terrace for private and peaceful sunbathing with great views. 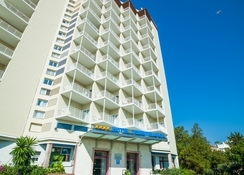 This resort offers a choice of rooms from Single or Twin, to Family, and interconnecting doors are available for larger groups. The building itself faces south which gives guests the most time in the warm glow of Spanish sun. Hotel Monarque Torreblanca facilities are modern and the TV, phoneline, and air con enable guests to live independently and comfortably within their room. Hotel Monarque Torreblanca is handicapped accessible. 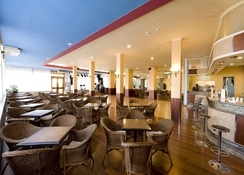 Hotel Monarque Torreblanca offers guests a buffet-style breakfast of regional and international selections. Special dietary requirements can be catered for upon request and there are children’s options available. Each room comes with a fridge, and local supermarkets sell international produce for those who prefer to eat-in sometimes. Hotel Monarque Torreblanca is surrounded by a variety of shops and restaurants just a short walk away, with fine foods on offer from opulent restaurants or family run cafes. The locals often eat a late dinner after their siesta, and you’re encouraged to wash it down with a few drinks. Hotel Monarque Torreblanca offers its outdoor pools for all guests, and children have a playground to enjoy as well. There’s also an arcade/games room on-site, and holiday classic such as billiards and darts are available. There are a number of ways for guests to explore the culturally rich town around them; try a Flamenco show at Las Lagunas Theatre, go by foot or bicycle around Plaza de Espana, or learn about the municipality's Roman roots at Alcazaba. Bioparc Fuengirola is a tourist favourite year after year, featuring exotic animals from around the world, and Andalusia Technological Park is awe-inspiring. Pool and gardens immaculate . Rooms very dated but very clean .